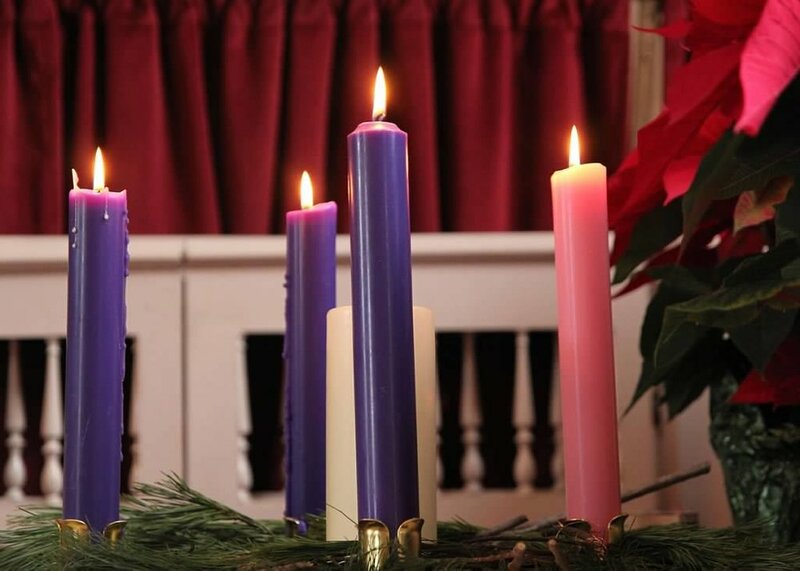 A resource for members and the community on the joyful Christmas season at First Congregational Church of Kittery at Kittery Point. All are welcome as we prepare our Christmas Giving Tree to serve those in need. After the 10am service we will gather in the Parish house for a meal and annual wreath decorating workshop. All are welcome to help us grow in awareness of our neighbors who live from moment to moment, paycheck to paycheck. The Bell Choir will perform. Then join us to go Christmas Caroling to brighten the lives of others! All are welcome to witness our Youth and Families perform our Annual Christmas Pageant, and dedicate your gifts to the service of others! Jesus, the baby named “God with us”—is on the way. Let’s get ready to greet him. Families of all ages, shapes, and sizes are welcome to come Perform our Sacred Story together, celebrate through song, and light up the night with God’s Presence. Come do all your gift shopping at our historic Christmas Fair! All kinds of hand made gifts, food, candy & delectables. Meals are available for purchase. Live music in the sanctuary starting at 4pm and caroling at 5:30. All are welcome to come help us make hand made crafts to sell at the Christmas Fair. Bring your own projects, or work on ones we provide. All levels welcome! A relaxing evening with tea & goodies served while we craft & fellowship to festive music. This lively and well attended workshop is free and welcome to all. Help us decorate wreaths for the Christmas Fair made with live greens - we provide the wreaths, ornaments, drift wood, shells, berries and other festive decorations to sell at the Annual Christmas Fair. You may purchase your decorated wreath on the day of the workshop for $20. The day of the Christmas Fair, all wreaths are $25. Bring your glue guns and get creative! The women’s fellowship will be hosting an all hands on deck greenery workshop with Coralie Clement of Jungle Love. We will be creating natural holiday table centerpieces and arrangements to sell at the Christmas Fair. Bring any birch, driftwood, wood, glass containers, natural greenery, berry branches, holly, or other items found in nature. All items will be sold starting at 3pm on December 7 at the fair. All are welcome to join us as we decorate our Sanctuary and march in the Kittery Holiday Parade to share the Good News about God with our neighbors! Meet us at the staging area in front of the Kittery Post Office Square at 2:30. We will be making a community banner in the parish house Sundays in November. Join with the wider community at the Buoy Art Gallery in Kittery Foreside for a special Winter Solstice Service, naming the darkness in our lives, and waiting in hope for the light to return.